A year ago, a 2-year-old dog with broken legs, ribs and a belly full of carpet was fortunate enough to be saved by an animal shelter and adopted into a loving home. Now, a year later, the dog’s the one doing the rescuing. 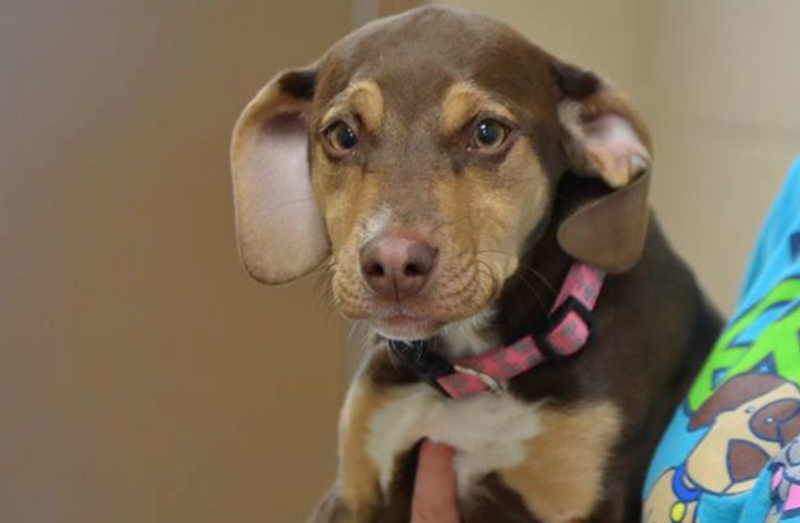 The medium-sized mixed-breed named Peanut suddenly started barking uncontrollably while inside her home in Escanaba, Michigan, Friday morning. The behavior was certainly unusual for the ordinarily shy pup. She ran up and down the stairs, barking and yelping until her owner finally let her outside. Once the door opened, the dog barreled into an open field behind the house -- her confused owner following close behind. Eventually, the dog stopped in front of a ditch, and looked back at her owner. At first, the man pulled on the dog’s collar to turn back, but then he took a closer look and saw a naked little girl curled up into a ball, shivering uncontrollably in the freezing temperatures. Quickly, he hopped into the ditch and wrapped her in his shirt, running back home with Peanut on his heels. The family called 911 as they covered the girl in blankets to warm her up. The little girl was not injured and was transported to a nearby hospital for tests, while deputies went door to door in an attempt to find her parents, authorities said. The parents were eventually located at a house nearby. Police said the case has been sent to the Delta County Prosecutor’s Office for review. “Without her, not only would she have been gone from this world, but the life of this little girl might have been taken as well,” Peanut’s owner said.